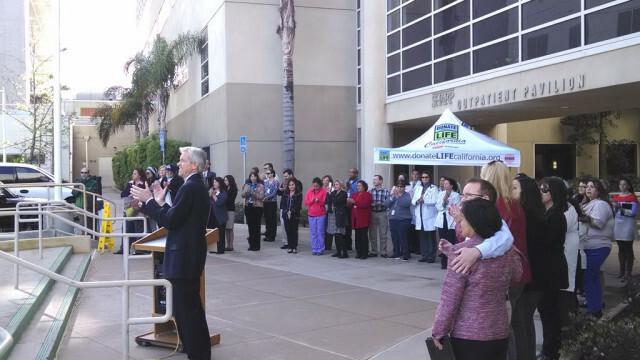 Sharp Memorial Hospital called on San Diegans to join the state’s registry of organ donors at a ceremony Wednesday marking national Donate Life Month. “We really want to call attention to the need for more organ donors,” said Tim Smith, CEO of Sharp, noting that more than 20,000 people in California, including some 500 at Sharp, are on the waiting list for transplants. Robert Adamson, surgical director of Sharp’s cardiac transplant program, said a transplant can provide a new life to those terminally ill. “To live with terminal heart disease is a curse that is unimaginable,” he said. Robert Billings told about his 52-year-old wife, Jackie, who died Feb. 17 at Sharp from bacterial meningitis. She helped save three lives by donating two kidneys, a lung and her liver. Billings himself got a kidney donated by his brother a decade ago. Sharp Memorial Hospital is one of dozens of transplant centers nationwide that will fly a “Donate Life” flag until the end of April as a reminder about the importance of organ donation. According to Sharp, one organ donor can save up to eight lives by donating his or her heart, liver, pancreas, kidneys, lungs and intestines. A tissue donor can improve the lives of up to 50 others by providing eyes or corneas, heart valves, bones and skin grafts. 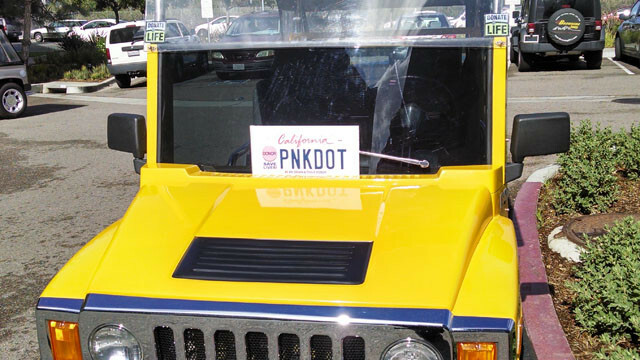 San Diegans can join the Donate Life California Registry at online www.donatelifecalifornia.org.